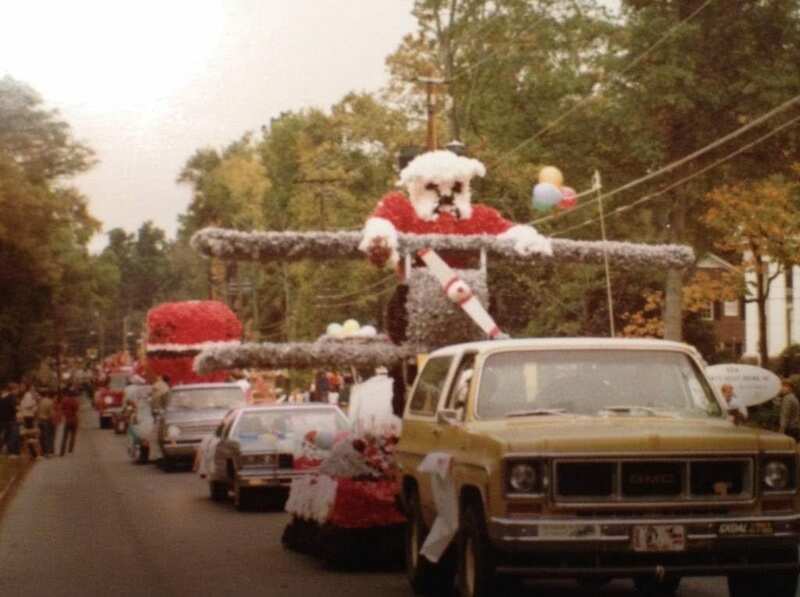 Steve Lewis shared a photo of the UGA homecoming parade in the early 1980s. Steve Lewis was a student at the University of Georgia in the early 1980s. Today he owns Lightninrv in Lawrenceville, Georgia. Ligqhtninrv allows customers to rent motorhomes, travel-trailers, and pop-up campers for every event including those Bulldogs’ game days. One of his favorite game days was the homecoming game. He remembers homecoming week as a time to get to know others on Milledge Avenue and take part in the week’s festivities. “Watching the floats come down Milledge with all the other students… everybody put their furniture down by the sidewalk for a front row seat,” Lewis says. Lewis was a member of the Alpha Tau Omega Fraternity on campus. Alongside his fraternity, Lewis enjoyed working with a sister sorority on different homecoming projects. He was new to the big homecoming events when he was a student, but homecoming started 60 years before Lewis was even enrolled at UGA. After 30 years since Lewis was a student at UGA, the basics of the homecoming he remembers are still the same: students and alumni meeting for different celebrations. Homecoming is still full of these special events that started almost 100 years ago, but now, the magnitude of these events are much bigger and in a few different places. For example, the homecoming parade was actually held on Milledge Avenue when Lewis was a student, but now the parade is held downtown. The events Lewis remembers are now much larger like the NEEDTOBREATHE concert at Stegman Coliseum tonight. This Christian rock band from South Carolina has over 233,000 Twitter followers, but it is not the only group singing in spirit of homecoming this week. Student organizations take part in a Lip Sync on campus, but homecoming week does not forget those around the community. The Center of Leadership and Service is holding a Stop and Serve at Tate Plaza on Wednesday so others can help the community. These events highlight the football game that takes place Saturday, October 15, in Sanford Stadium. The Georgia Bulldogs will tee it up between the hedges this year against Vanderbilt University (2-4, 0-3 SEC). The last meeting between Vanderbilt and Georgia on homecoming week was in 2014 when the Bulldogs beat the Commodores 44-17. The University of Georgia highlight a Bulldogs record of 75-17-2 in homecoming games. Georgia’s first homecoming game was against Vanderbilt, and the Bulldogs lost 12-0. As for its overall record against Vanderbilt on homecoming, the University of Georgia has won 20 of the 23 meetings. To learn more about the history of homecoming at UGA and the events happening this week, visit the UGA Homecoming website.